For the most recent Pest Report, click here. The last full insect update for 2016 was September 12th. The process of adult brown marmorated stink bugs dispersing from plants to overwintering sites is underway. In locations where you see high numbers accumulating on the side of buildings, please contact Jim Walgenbach or Steve Schoof via phone or email. Assuming you have thousands, we’d love to come and collect as many as possible. As a reminder, expect a large increase in adult BMSB activity this week. The process of bugs dispersing from plants to overwintering sites is beginning now, and peak activity is expected to occur on September 21, assuming the weather remains nice. In locations where you see high numbers accumulating on the side of buildings, please contact Jim Walgenbach or Steve Schoof via phone or email. Assuming you have thousands, we’d love to come and collect as many as possible. This will be the last full update for 2016. As mentioned last week, late-maturing cultivars will require insecticidal control for BMSB through at least this week. When choosing an insecticide to use at this time of the year, preharvest interval should be a key factor. Also, an application the last week of September may be necessary on Pink Ladies in areas where stink bug numbers have been high this fall. As a reminder, expect a large increase in adult BMSB activity next week. The process of bugs dispersing from plants to overwintering sites is beginning now, and peak activity is expected to occur on September 21, assuming the weather remains nice. In locations where you see high numbers accumulating on the side of buildings, please contact Jim Walgenbach or Steve Schoof via phone or email. Assuming you have thousands, we’d love to come and collect as many as possible. Brown marmorated stink bug remains the insect of primary concern at this time. Pheromone trap captures during the past week remained relatively high at the majority of trapping sites. 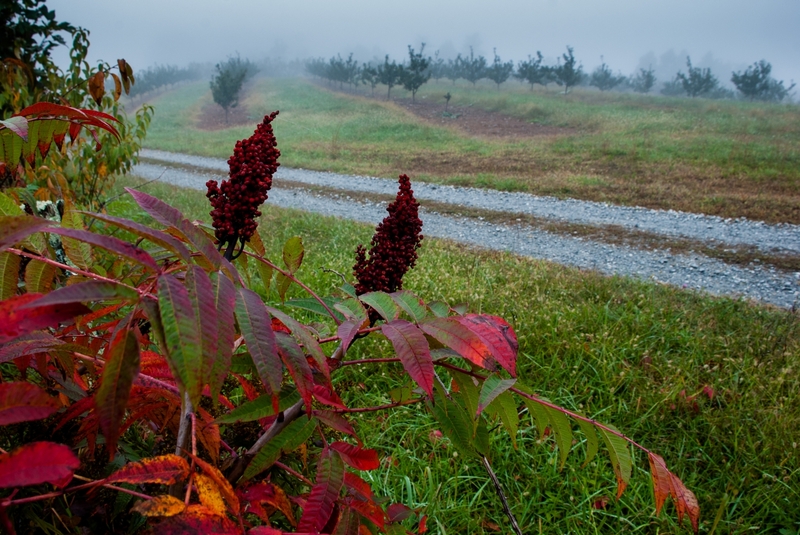 Late-maturing cultivars will need to be protected from BMSB through at least mid-September. Expect to see a gradual increase in adult movement over the next two weeks, and peak activity expected to occur the week of September 19. This heightened flight activity represents adult dispersal to overwintering sites. In areas with high populations, expect to see large numbers gathering on the sides of buildings during daylight hours. The vast majority of adults will have entered overwintering sites by early to mid-October. Pheromone trap captures of brown marmorated stink bug during the past week remained relatively high at all trapping sites, and BMSB continues to be the insect of primary concern in all production regions. While there are six different pyrethroids and two neonicotinoids that are realistic options for control of BMSB this late in the year, consideration should be given to the preharvest interval, which ranges from as low at 3 days with the neonicotinoid dinotefuran (Venom and Scorpion) to 21 days with lambda-cyhalothrin (Warrior and various generics). 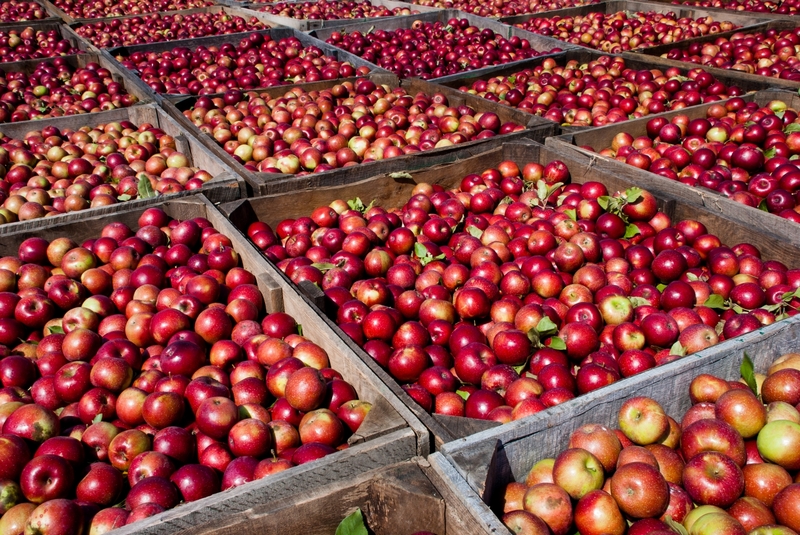 Note that Gerber has a more restrictive PHI for neonicotinoids than what appears on the label, and these materials are probably not an option for apples destined for this market. There have been some questions about what additional insects (of those that are a potential concern at this time of year, other than stink bugs) can be controlled by pyrethroids. Those insects of potential concern include oriental fruit moth, codling moth, and apple maggot. The pyrethroids listed in last week’s list of recommendations (listed again below) should control all of these except codling moth. Despite the fact that codling moth is listed on the label of most pyrethroids, failures against this pest have occurred. As mentioned last week, codling moth and OFM are a concern primarily in those locations where damage has occurred from previous generations or where there is a history of problems. Decisions on the need for insecticides should be based on pheromone trap captures in individual orchards. Brown marmorated stink bug pheromone trap captures and damage are beginning to increase in Henderson County. Trap captures also remained relatively high in Polk and Lincoln Counties. Recent research in West Virginia has established a preliminary threshold of 10 cumulative bugs per trap (i.e., weekly trap captures added cumulatively). Based on this figure, trap captures exceeded this threshold at 5 of our 8 locations this past week. BMSB damage surveys conducted today (Monday) in Henderson County also picked up a slight increase in damage. For those growers that experienced damage last year or are concerned about the potential for damage this year, an insecticide should be considered at this time. Insecticides recommended in the table below are limited to pyrethroids and neonicotinoids, and only those materials with pre-harvest intervals (PHI) of 21 days or less are listed. The pyrethroids generally have longer residual activity than neonics. Applications should be made at a minimum of 14-day intervals, and under high pressure no longer than 10 days. On late-maturing cultivars such as Granny Smith and Pink Lady, control through at least mid-September may be necessary. Note the PHI of various products to avoid applying materials too close to harvest. 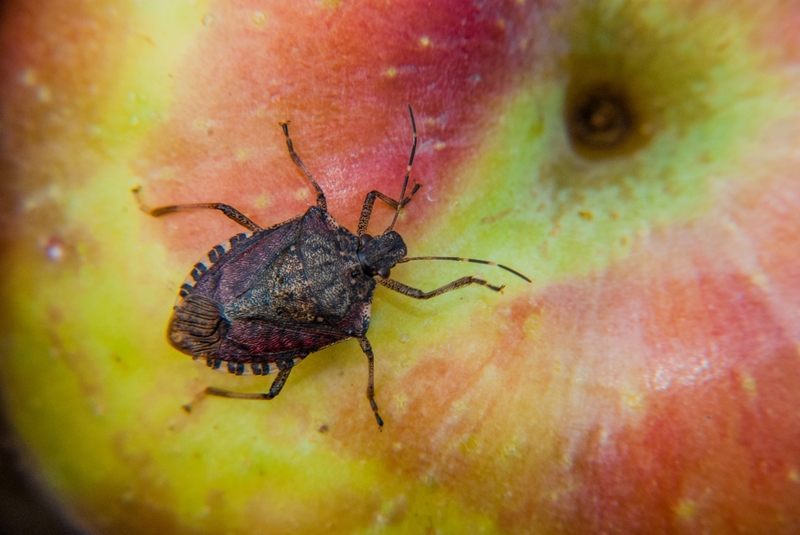 See the Pest Update for the week of August 8 for a discussion of the need for stink bug control on apples destined for various markets. The need for insecticides for codling moth and oriental fruit moth at this time of the year should be based on pheromone trap captures in individual orchards. The degree-day model for these pests is of less utility later in the season due to overlapping of generations. Historically, mid-August has been the last insecticide applied for these insects in orchards that have not experienced problems up to this point in time. It is NOT common for populations to develop to damaging levels for the first time this late in the season. Nonetheless, pheromone traps should continue to be used to monitor populations. The major flush of apple maggot fly emergence that occurred during late July and the first week of August appears to have subsided. Trap captures were low at all monitoring sites. Finally, brown marmorated stink bug captures in pheromone traps continue to be low in most Henderson County orchards. Survey of fruit also revealed little damage in our monitoring orchards, although it was difficult to differentiate hail and stink bug damage in a couple of orchards. Last year we observed increased trap captures (and damage) during the last week of August to early September, so the possibility of damage by this insect remains a threat. BMSB trap captures also declined in lower elevation orchards, where they had been higher in recent weeks. More damage is present in these orchards, although it is considerably lower than this time last year. However, insecticidal control is recommended for at least several more weeks. The codling moth degree-day model becomes less useful later in the season because of overlapping of generations – i.e., there is the potential for some late emerging second-generation adults to occur simultaneously with early emerging third-generation adults. Hence, at this time of the year decisions on the need for insecticides should be based on pheromone trap captures rather than degree-day accumulations. While codling moth pheromone trap captures have been low at many locations, we have observed high trap captures in several orchards in both the mountain and piedmont regions in the past week. If pheromone trap captures dictate the need for an insecticide, now is a good time to rotate back to the insecticide that was used against the first generation. Apple maggot adults are still emerging in some locations, so where trap captures dictate the need for insecticides, options include Admire, Assail and Imidan. Brown marmorated stink bug trap captures remain very low in Henderson County, and damage remains low in those orchards monitored yesterday (Monday). In contrast, traps continue to capture more bugs in lower-elevation orchards, where insecticides targeting BMSB should continue to be applied. Insecticide options include pyrethroids or the neonicotinoid dinotefuran (Venom or Scorpion). Dinotefuran has a shorter PHI (3 days) than most pyrethroids (14 days) recommended for BMSB, so this should be considered when choosing an insecticide. There have been some questions raised about the need for BMSB control on hail-damaged fruit that is destined for processing or cider markets. Because of the similarity of BMSB damage to cork spot, and difficulty differentiating the two, processors group both as cork spot. 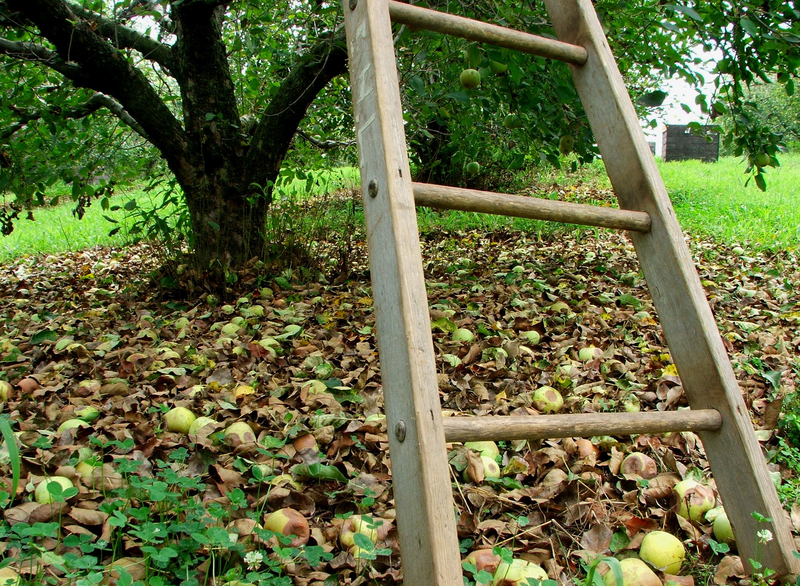 Under this type of scenario the level of damage considered acceptable is probably a moving target that fluctuates with the availability of apples and market price. 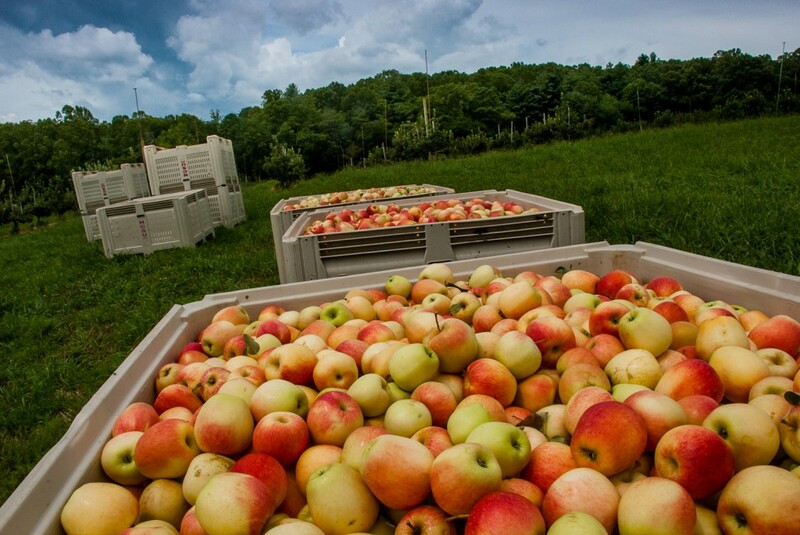 Regarding apples destined for juice or cider, there is no reason that BMSB-damaged apples should not be used. 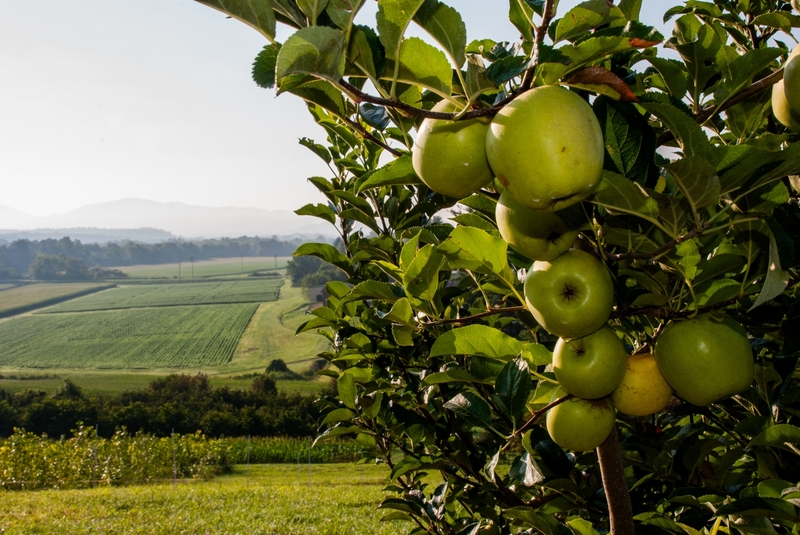 In addition, not controlling BMSB on apples will not adversely affect population levels next year, because populations within orchards have a very minor impact on the overall population dynamics of BMSB. Several insects are potential pests at this time of year, including apple maggot, codling moth, oriental fruit moth (OFM), and brown marmorated stink bug (BMSB). 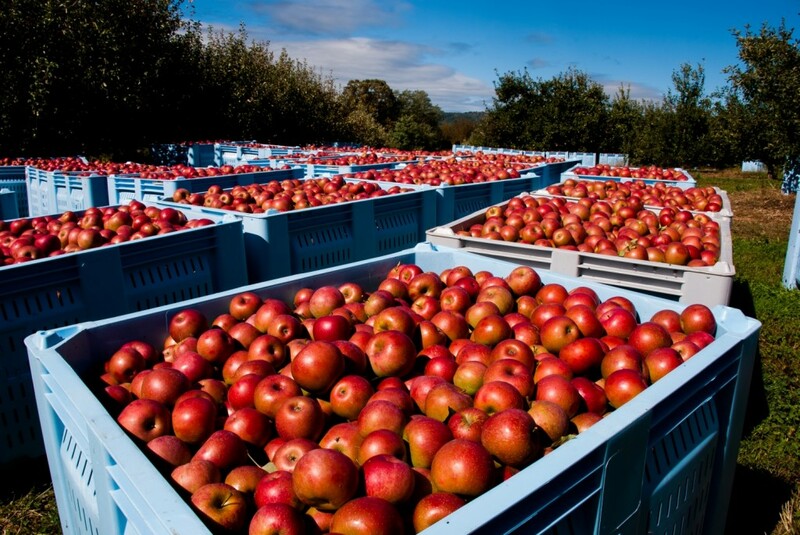 The summary below provides a general synopsis of activity on an areawide basis, and is not meant to provide recommendations in specific orchards. 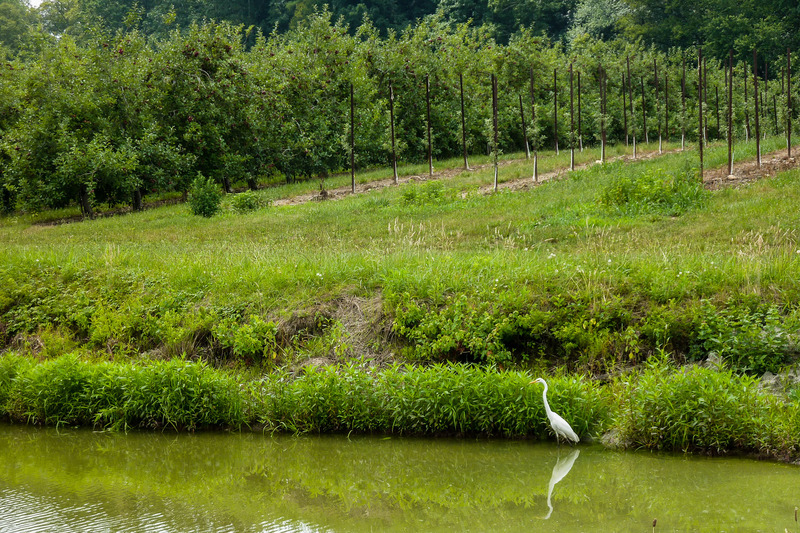 Pest control decisions in individual orchards should be based on the history of damage and scouting reports specific to each orchard. Apple Maggot: We are currently in the time period when apple maggot flight is near its peak in NC. Trap captures can vary widely within a localized area, and although our trap captures were down this week, others have reported high captures. If traps are not being used to monitor this insect, it would be wise to apply an insecticide at this time. Imidacloprid (i.e. Admire) provides effective and inexpensive control of this pest. In those orchards where BMSB is a concern (see below) and where pyrethroids are being sprayed, these insecticides will provide sufficient control of apple maggot. Codling Moth and OFM: Codling moth degree days vary from about 2100 in Henderson County to 2500 in Polk County, Lincoln County, and the Morganton area. In lower-elevation orchards there is the potential for third-generation moths to emerge at this time, but the threat is obviously low in orchards with no damage from previous generations. OFM numbers have been of low to moderate intensity for several weeks, but trap captures have increased in a few locations in recent weeks. In orchards where late-season OFM is a concern, sprayable OFM pheromone should be considered over the next few weeks. Sprayable pheromone generally provides 3 to 4 weeks’ activity, and has been successful in preventing late-season damage. Neither codling moth nor OFM are likely a concern in orchards that erected dual pheromone dispensers or puffers earlier in the season. BMSB: Pheromone trap captures remained low in all of our sampling orchards. Based on phenology models, first-generation adult emergence is much more advanced in lower-elevation foothill and piedmont orchards than those at higher elevations (>2000 ft). 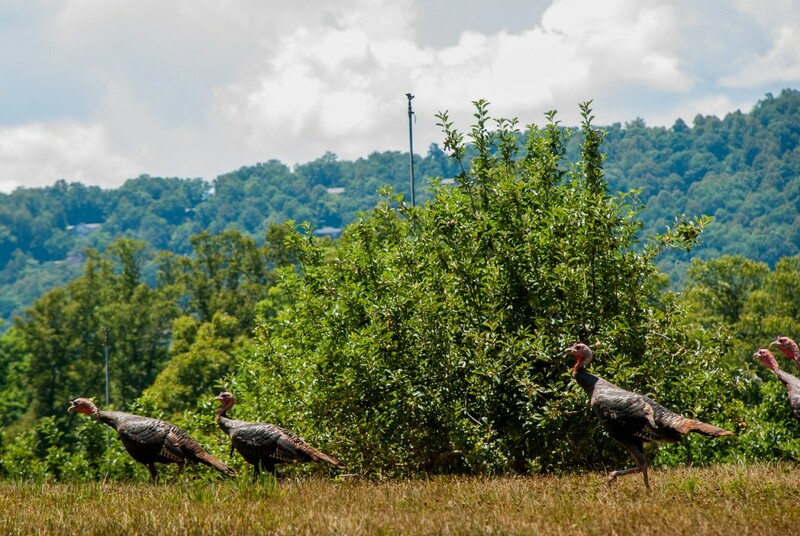 Based on captures in Henderson County orchards, sprays targeting BMSB are not recommended at this time. Codling Moth: Codling moth degree-day accumulations since biofix ranged from about 1850 in Henderson County to about 2250 in the Lincolnton/Hickory area as of Monday (July 25). Hence, the primary flight of the second generation is nearly complete in the piedmont production areas, and will be a concern for only another week or two in higher elevation locations. 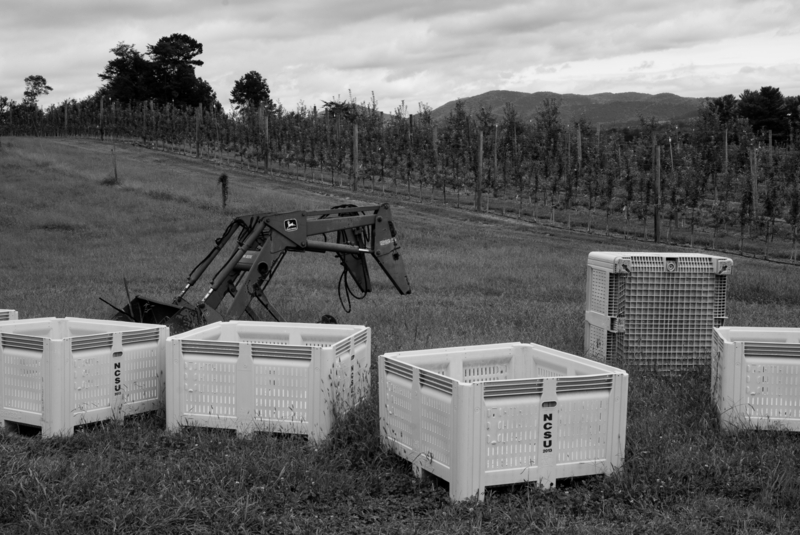 However, second-generation flight can extend for longer periods in some orchards, so the need for insecticides should be based on pheromone trap captures in individual orchards. Brown Marmorated Stink Bug (BMSB): Late last week we observed an increase in BMSB adult captures in pheromone traps in Polk, Cleveland and Lincoln Counties, which coincides with the expected time of first generation adult emergence in these areas. First-generation adult emergence and activity will continue into September. Based on monitoring in 2015, it is these adults that are the primary cause of damage to apples in NC. Hence, in orchards with a history of BMSB damage at lower elevations, insecticide applications targeting this insect should begin at this time. Insecticides with greatest activity include the neonicotinoids dinotefuran (Venom or Scorpion) or Belay, which has a Section 18 emergency exemption registration, and several pyrethroids, including fenpropathrin (Danitol), lamda-cyhalothrin (Warrior), and gamma-cyhalothrin (Proaxis). Bifenthrin (Brigade, Bifenture) is also highly effective, and a Section 18 emergency exemption has just been approved for its use in NC. (See the article on recent Section 18 exemptions.) There are also several pre-mixes that are effective, including Indigo (lambda-cyhalothrin + thiamethoxam), and Leverage (beta-cyfluthrin + imidacloprid). We have not yet observed first generation BMSB adult emergence in higher-elevation orchards (i.e., Henderson County), and pheromone trap captures remain very low at all of our trapping sites. 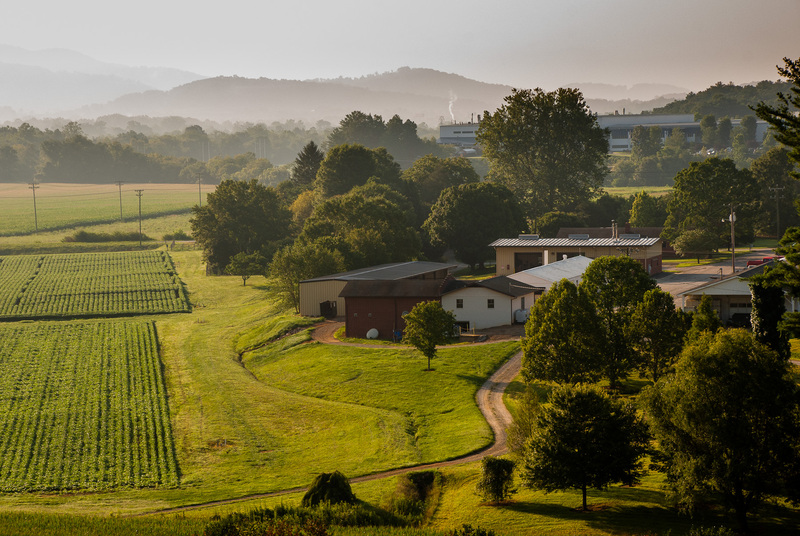 First-generation adults typically begin to emerge in highest numbers in mid-August in Henderson County. Apple Maggot: Finally, we are approaching the time when apple maggot emergence typically begins in NC – late July to early August. Numbers remain low at our trapping sites, but this insect has a highly aggregated distribution on an area-wide basis, so population densities can vary considerably among orchards that may be only a half-mile apart. Hence, for those growers not trapping for this insect, it would be wise to include imidacloprid as a precaution in sprays over the next couple of weeks. As of July 18, codling moth degree day accumulations ranged from about 1600 in Henderson County to almost 2100 in lower-elevation orchards. While second-generation codling moth can potentially be a problem up to 2500 DD after biofix, this is rare and usually occurs under high population densities where populations are difficult to control. Conversely, in most situations where the first generation caused minimal damage and second-generation pheromone trap captures have been low (<2 moths per week), a single insecticide application between 1450 and 1600 DD is usually sufficient against the second generation. Although oriental fruit moth populations have been low at our monitoring sites, there are areas where trap captures have been high in recent weeks. In orchards where mating disruption for codling moth and OFM is NOT being used, we are approaching that time when sprayable OFM pheromone should be considered. Applications in late July and again in late August have worked well in suppressing late-season OFM. 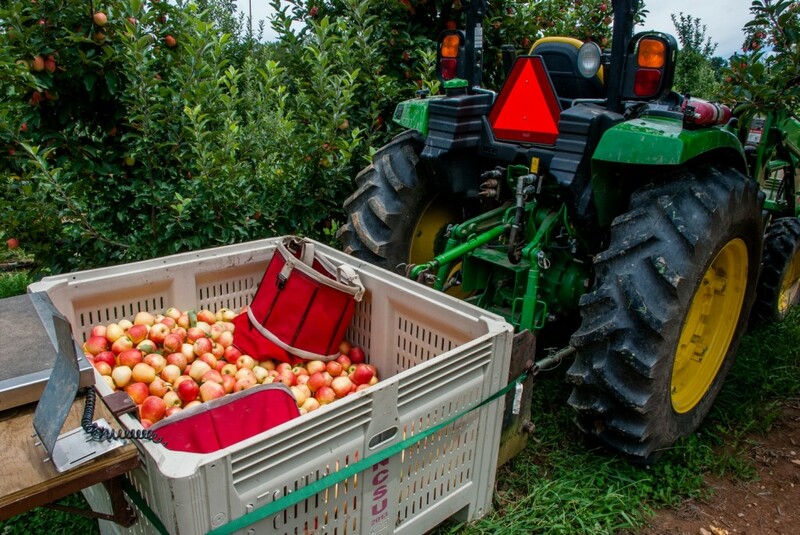 To date, apple maggot captures have been low on traps located near abandoned orchards. 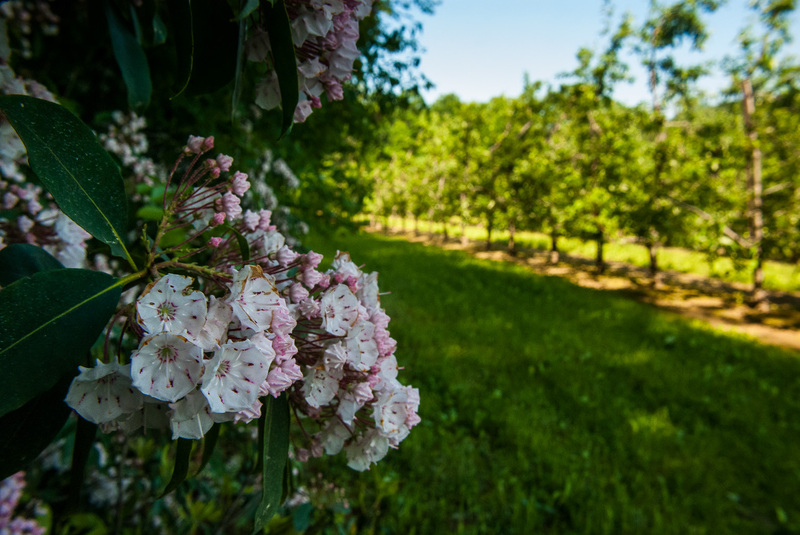 Although late July and early August is typically the peak emergence time in many NC sites, populations can vary significantly among locations, so decisions about spraying for this insect should be based on trap captures in your orchard. Finally, brown marmorated stink bug populations continue to be very low at monitoring sites in the mountains and piedmont areas. In the 30 pheromone traps we have placed in five orchards that experienced high populations last year, a total of only 13 adults were captured during the past week. Based on these numbers, there is little need for insecticide sprays at this time. Second-generation codling moth is the primary insect of concern at this time. In Henderson County, degree-day accumulations since biofix averaged about 1500 as of July 11, which coincides with emergence of second-generation moths. Pheromone trap captures at the research station in Mills River increased from an average of 2 per trap last week to about 15 moths per trap this week. Off the mountain, degree-day accumulations averaged about 1900 from Polk County to the Hickory area. Second-generation codling emergence can extend to almost 2500 DD, so it is a potential threat for several more weeks. 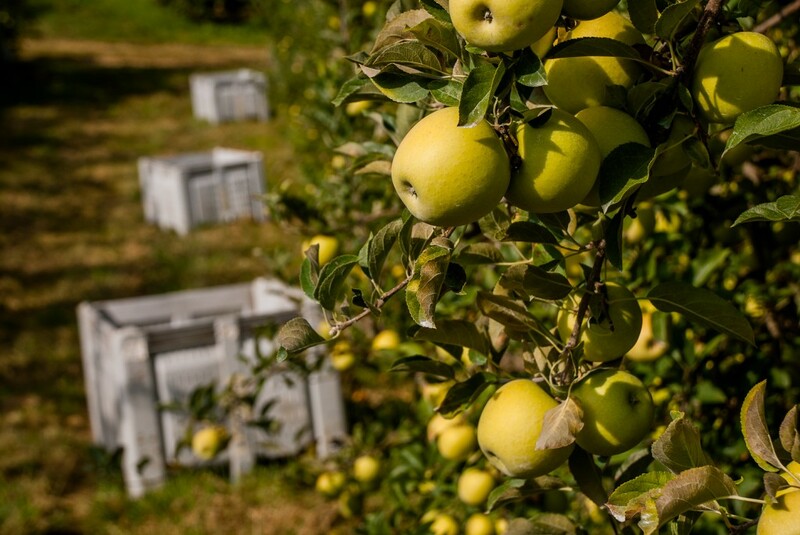 In orchards using mating disruption, insecticides targeting second-generation codling moth are usually not necessary unless cumulative trap captures reach an average of 3 per trap. Chlorantraniliprole (Altacor) and spinetoram (Delegate) remain the two materials recommended for codling moth. As a reminder, for good resistance management practices it is recommended that an insecticide different than that used against the first generation be used against the second. For instance, if Delegate was used against the first generation in May/June, use Altacor against the second generation. Conversely, if Altacor was used against the first generation, Delegate should be used against the second generation. We are approaching the time for emergence of first-generation brown marmorated stink bug in lower elevation orchards (Polk County, Cleveland County, Morganton, etc.). Last year, when populations were considerably higher than this year, it was at this time that feeding damage began. However, as mentioned in previous posts, populations are significantly lower than last year. We have an extensive series of pheromone traps in several orchards that had serious damage in 2015, and trap numbers remain very low in all of these orchards at this time. Codling moth degree-day accumulations since biofix range from about 1300 at higher elevation sites to almost 1700 in lower elevation orchards in Cleveland and Burke Counties. 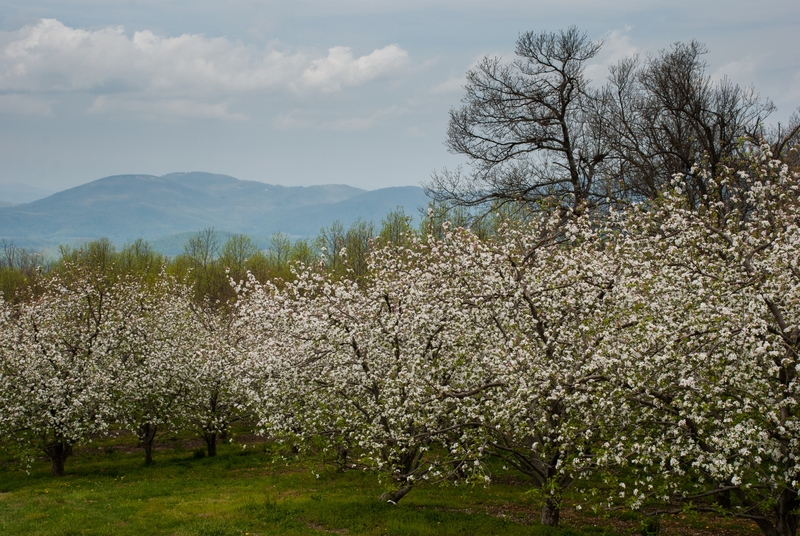 This coincides with the early emergence period of the second generation in higher elevations such as Henderson County, to late emergence in lower elevation orchards. In situations where codling moth pressure is low and there is little to no damage thus far (i.e., <0.5% damaged fruit), a single insecticide application at about 1500 DD is usually sufficient. However, the emergence period of the second generation can extend to almost 2500 DD, so pheromone trap captures should be the basis for determining the need for additional insecticide applications. Oriental fruit moth trap captures are generally low, but there are some sites where pheromone trap captures have averaged between 10 and 20 per trap. Hence, insecticide applications should be based on pheromone trap captures in individual orchards. Most other insect pests remain low at this time. First generation adult plum curculios are emerging at this time, but based on the overall low level of damage caused by overwintering adults at petal fall, the potential for damage is very low. There was some apple maggot activity several weeks ago – it is not unusual for a few to emerge in June – but none have been captured in abandoned orchards during the past two weeks. Finally, first generation brown marmorated stink bugs are expected to begin to emerge in the next 10 to 14 days in Cleveland and Lincoln Counties, but numbers have been very low up to this point in time. First generation adult emergence in Henderson County is not expected for at least another 3 weeks. Codling moth: As of June 28, codling moth degree day accumulations since biofix ranged from about 1150 in Henderson County to 1500 DD in Lincoln County. In situations where good control of first generation codling moth was achieved and where only a single insecticide application is necessary for the second generation, 1500 DD is a good timing for that application. Hence, now is an appropriate time in foothill and piedmont production areas. In Henderson County, the critical DD timing for second generation codling moth is not expected to occur for another 10 to 14 days. Oriental Fruit Moth: OFM has completed second generation flight in higher elevation orchards, but there are a few locations where pheromone trap captures remain relatively high. It is somewhat unusual that populations continue to be high at this time. While insecticides targeting second generation codling moth will also control OFM, sprayable OFM pheromone should be considered in those locations with persistently high OFM pheromone trap captures. In orchards using mating disruption for both codling moth and OFM, the need for insecticides targeting these pests should be based on pheromone trap captures, using a threshold of an average of 3 cumulative moths per trap. It is usually the exception that insecticides are needed for either of these insects during July in mating disruption orchards. Additional Pests of Concern: Additional insects of concern at this time include Japanese beetle and first generation plum curculio adults. Japanese beetle populations appear to be fairly high this year. Options for control include the neonicotinoids Assail, Admire and Actara, with Assail being the most effective of these three. The carbamate Sevin and most pyrethroids will provide excellent knockdown and longer residual activity than the neonicotinoids. However, pyrethroids can lead to outbreaks of mites, San Jose scale, and woolly apple aphid. Emergence of first generation plum curculio adults is predicted to begin in the next 7 to 14 days. 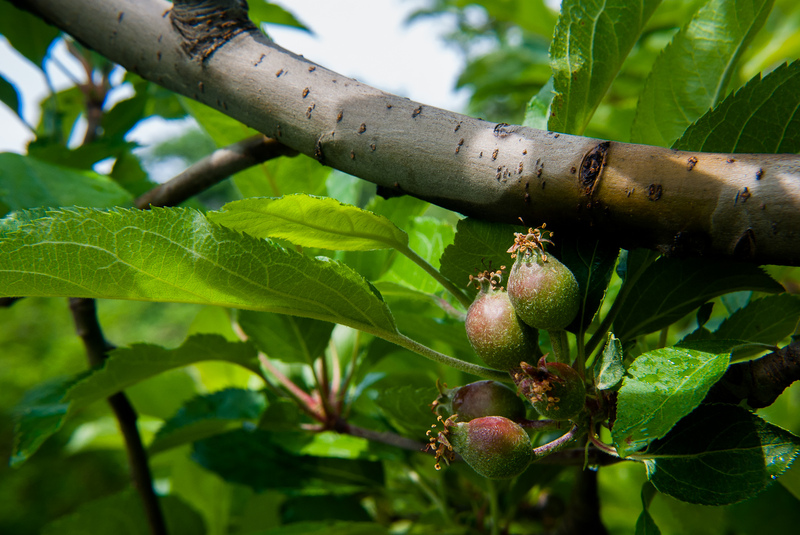 The potential for damage is very low in orchards with low levels of damage caused by the overwintering population. 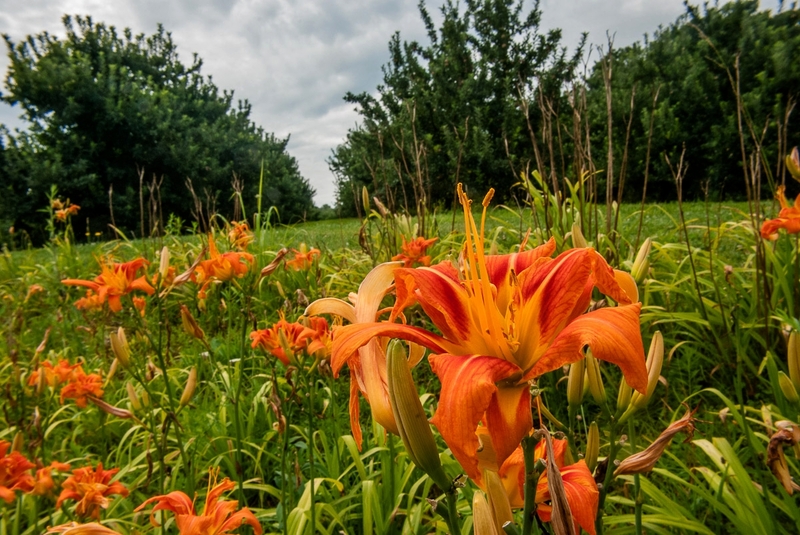 Unless significant damage was observed early in the season (i.e., greater than 5% damage), it is doubtful that insecticidal control is necessary at this time. 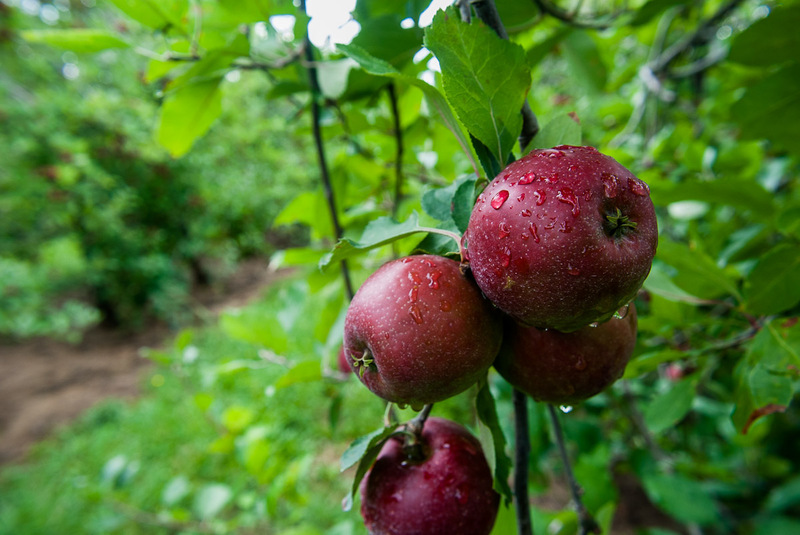 Most apple production areas remain in that time period where there are few direct pests that pose a threat. As of Monday, June 20, codling moth DD accumulations ranged from about 975 in Henderson County to about 1300 in Lincoln County. Timing of an initial insecticide spray for second generation codling moth ranges from about 1400 to 1500 DD, but under lower population densities (low trap captures and no damage from the first generation), only one application is required against the second generation and applying between 1500 and 1600 DD is usually sufficient. 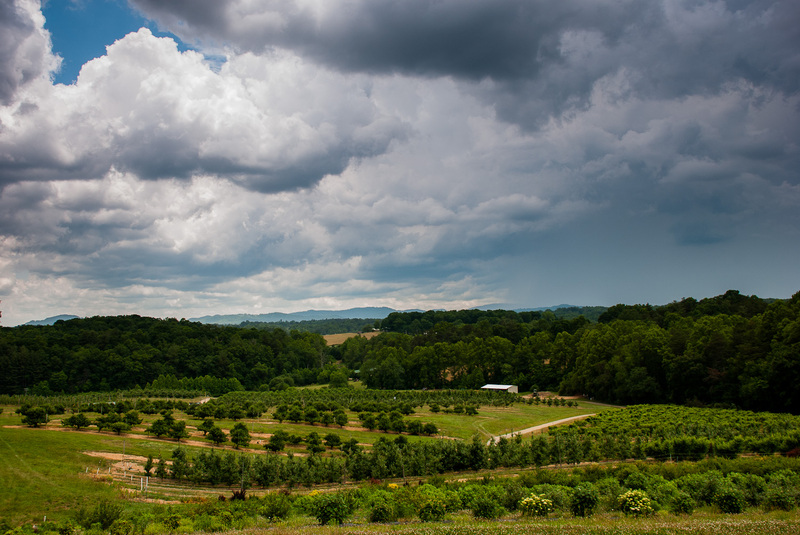 Second generation OFM remain active in Henderson County, but are subsiding in lower elevation orchards. 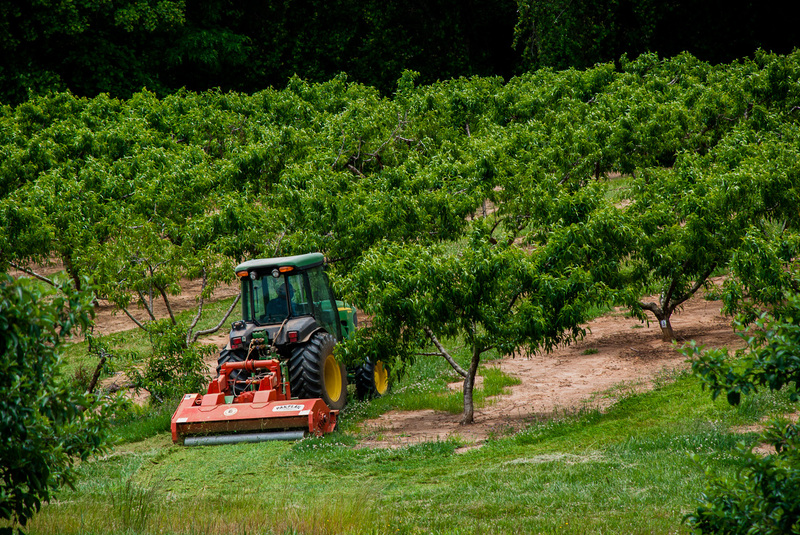 Populations vary widely among orchards, and pheromone trapping in individual orchards is the only effective means of determining the need for insecticidal control. As most growers are aware, the dry and warm weather conditions are ideal for European red mite populations, and if problems are to develop they usually appear before July 1. There have been several reports of ERM developing to threshold levels this week. First generation codling moth flight is essentially complete in all production areas, with degree-day accumulations greater than 800 in higher elevations and about 1100 in piedmont locations. Additional insecticide sprays for this pest are only necessary in those orchards that historically have had a problem and where pheromone trap captures remain high. 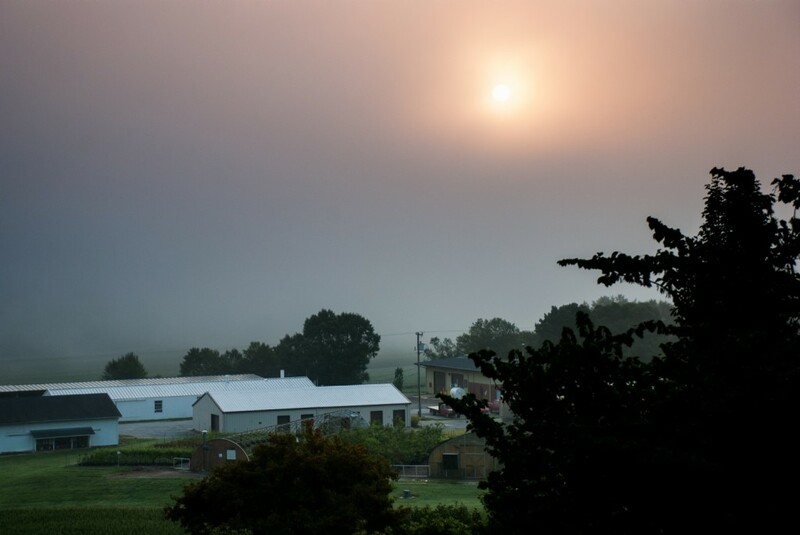 Second generation OFM is now emerging in Henderson County, but population densities and the threat of damage are historically low by this generation. Pheromone trap captures are the best decision-making tool to determine the need for insecticide sprays against OFM at this time. An insecticide should be considered if trap captures (baited with OFM L2 lures) approach 8 to 10 moths per week. Other arthropod pests of concern at this time include European red mite and potato leafhopper. As mentioned in previous articles, June is the time when mite populations increase at their greatest rate, and the hot dry weather is conducive to population buildups. There have been several inquiries about the status of brown marmorated stink bug populations. Population densities have been low in all or our trapping location thus far. The vast majority of adults have emerged from their overwintering sites and are laying eggs, primarily on hosts in non-managed wooded habitats. Nymphs up to the 3rd instar have been detected on tree of heaven. First generation adults are expected to begin emerging in mid-July in piedmont counties and in August in higher elevations. It is anticipated that the greatest threat of damage will begin when those adults emerge in July and August. Codling moth degree-day (DD) accumulations range from about 700 in Henderson County to 950 in piedmont areas near Cleveland County and Morganton. 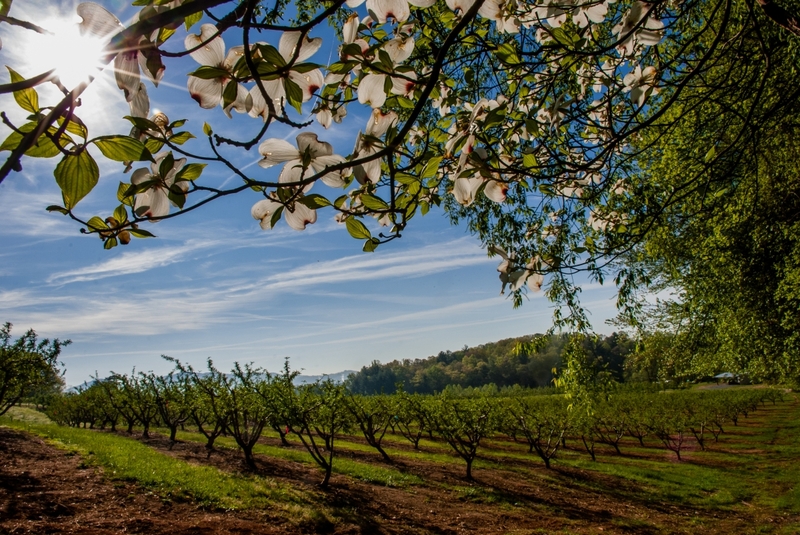 In higher-elevation orchards such as Henderson County, first generation codling moth may continue to be a concern in orchards with higher populations. However, codling moth populations have been relatively low in most production areas, and with the end of first generation flight nearing, we are approaching a period when there are relatively few direct pests of apples. While the potential for damage by direct pests is lowering, several indirect pests are becoming more abundant. Green aphids (a complex of green apple aphid and spirea aphid), potato leafhopper and European red mite are all present at this time. Among these pests, potato leafhopper can cause extensive feeding damage on new shoot growth. While this damage is of less concern on mature trees, they can severely retard growth on younger trees. Green apple and spirea aphids are less of a concern, but large densities can also slow growth. Lower rates of neonicotinoids (Admire, Assail, Actara) are highly effective against both pests. As mentioned last week, the next 3 weeks are an important time to scout for European red mite. The month of June is when populations generally first appear and increase to their highest densities. As of May 31, cumulative degree-days since biofix for codling moth varied from about 550 DD in Henderson County to about 790 DD in Lincoln County. Based on the model, Henderson County is still in the midst of first generation codling moth flight, while Piedmont regions (Polk, Cleveland, Morganton) are nearing the end of the flight. First generation codling moth is rarely a problem after about 700 DD, the exception being where high populations exist. Cumulative DD since biofix for tufted apple bud moth in Henderson County was about 700 DD as of May 31. Hence, an insecticide effective against this insect should be applied either this week or next week. One application of Delegate, Altacor, or Intrepid will provide season-long control of TABM if applied this week or next. For those growers using mating disruption and who have not yet applied an insecticide targeting lepidopteran pests, one of the above insecticides should be applied for TABM. NOTE: TABM is usually not a concern in counties other than Henderson. Now that June has arrived, it is also time to begin monitoring for key secondary pests, primarily green aphids and European red mite. Aphids can increase to large numbers on current-season shoot growth, and their control is most important on new trees where promoting growth is important. June is also the key month for European red mite. In most situations, if ERM populations do not develop to threshold levels before the first week of July, they generally do not become a problem. Scouting should begin in June and continue to early July. As of May 24, codling moth DD accumulations in Henderson County averaged about 437, which coincide with about 15% egg hatch of the first generation. Based on weather forecasts, codling moth will remain a concern for at least the next 10 to 14 days. Tufted apple budmoth DD accumulations in Henderson County averaged about 540 as of May 24. Excellent control of TABM with a single insecticide application can be achieved between 800 and 1000 DD after biofix. Based on weather forecasts, 800 DD should occur later next week. Off the mountain in Polk, Cleveland, and Lincoln Counties, as well as the Morganton area, codling moth DD accumulations averaged about 630 DD as of May 24. Based on weather conditions, these areas should have greatly reduced first generation codling moth activity by next week. One sporadic pest whose occurrence is difficult to predict is the Comstock mealy bug. Mealy bugs develop in the calyx end of the apple and can be a concern for fresh market fruit. 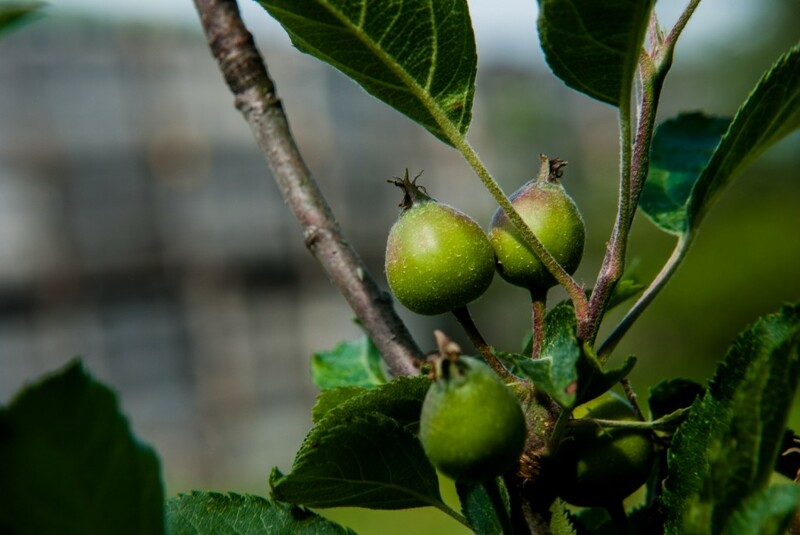 About 10 years ago we conducted tests with bugs from an infested orchard and found that Assail was one of the more effective insecticides against this pest, and third cover was the optimum timing. In those few orchards where this insect is a concern, an application of Assail may be considered at this time. Codling moth remains the key pest of concern this week. First generation tufted apple bud moth continues to emerge, but we are probably still two weeks away from the optimum timing for insecticide sprays against this pest. Green aphids are beginning to appear in some areas. First generation oriental fruit moth flight is essentially complete in all areas. All production areas are in the midst of first generation codling moth egg hatch, with DD accumulations as of 16 May ranging from about 360 in Henderson County to 550 in Cleveland County. Historically, first generation codling moth flight can remain high through 600 to 700 DD after biofix. With rain and below normal temperatures predicted for the remainder of this week, egg laying is likely to be suppressed. As mentioned last week, in orchards using mating disruption for codling moth, insecticide sprays are usually not necessary until TABM sprays are recommended. TABM sprays are recommended between 800 and 1000 DD after biofix. As of May 16, only 420 DD have accumulated in Henderson County. The only other insect of potential concern at this time is San Jose Scale (SJS). Mid to late May is when first generation crawlers begin to emerge, which is the last opportunity for effective insecticidal control. Control is recommended at this time if 1) no insecticide targeting SJS has been applied, and 2) SJS was observed on fruit last season. The most effective SJS insecticides include Esteem, Centaur, and Diazinon 50W. NOTE: Diazinon has a 4 day REI (re-entry interval), and its use may not be allowed by some processors. The codling moth remains the key insect of concern on apples in both piedmont and mountain production regions. As of May 11, codling moth degree-day accumulations since biofix were approximately 300 in Henderson County and 450 in Cleveland/Lincoln County. Egg hatch of the first generation begins at 300 DD, and is about 15% complete at 450 DD. In orchards not using mating disruption, the upcoming spray is an important time to apply an insecticide active against codling moth. Insecticide recommendations for codling moth remain Altacor and Delegate. Remember, choose one material to use against the first generation (even if multiple applications are required), and use the other material against the second generation in July and August. 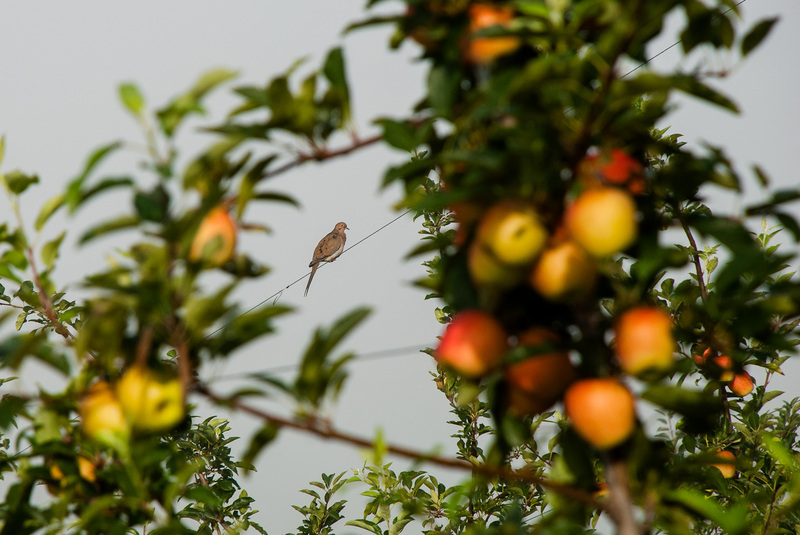 In orchards using mating disruption for codling moth and where pheromone trap captures remain low, it is unlikely that insecticides are required at this time. 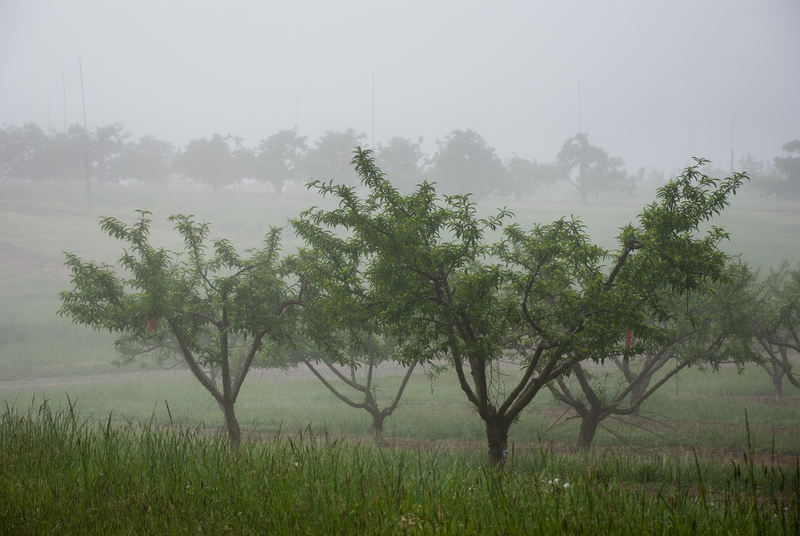 Generally, only one insecticide application is recommended during the first generation codling moth flight in orchards using mating disruption, and the timing of this application should coincide with the timing for tufted apple bud moth (TABM) control. An insecticide for TABM is recommended between 800 and 1,000 DD after biofix. Currently we are only at about 300 DD for TABM in Henderson County, and it will be at least two weeks before we reach 800. Based on degree-day accumulations and trap captures, insect phenology is about a week ahead of most years. The first flight of oriental fruit moth is on the decline, and the optimum timing for first generation codling moth sprays are approaching. Based on temperatures from several weather stations in Cleveland County and the Morganton area, the codling moth degree-day model has accumulated about 300 DD since biofix (April 10), which coincides with initial egg hatch of the first generation. In Henderson County, about 200 DD have accumulated since biofix (April 15), so first generation codling moth egg hatch is predicted to begin next week. Cool temperatures over the next few days will suppress codling moth activity, but expect activity to pick up over the weekend. In orchards with a history of codling moth problems, the first of two or three insecticide sprays is recommended at 250 DD after biofix, with subsequent sprays made at about 14-day intervals. In orchards with low populations of codling moth, sprays are not recommended until about 350 DD have accumulated, which is expected to occur late next week in Henderson County . In orchards using mating disruption, no sprays are recommended until about third cover, which will target both tufted apple bud moth and late-emerging codling moth. Many growers in the mountain production regions are now applying petal fall sprays, and at lower elevations in the piedmont first cover sprays will be made soon. Again, the most important pest(s) to consider when selecting an insecticide at petal fall is plum curculio and oriental fruit moth in non-mating disruption orchards. In orchards using mating disruption plum curculio should be the primary target. Orchards with a recent history of damage or high pheromone trap captures – 250 DD after biofix. Orchards with a low history of damage and low trap captures (<3 moths/trap) – 350 DD after biofix. Orchards using codling moth mating disruption for >3 years – No insecticide is recommended until 3rd cover, unless pheromone trap captures dictate otherwise. In Henderson County, tufted apple bud moth biofix occurred on 20 April, and we are currently at only about 90 cumulative degree-days. Oriental fruit moth cumulative degree-days are about 350 in Henderson County and about 550 in Cleveland County. Check Out New On-line Codling Moth DD Model: Remember to check out the new online, real-time codling moth degree-day model developed by the N.C. Cooperative Extension Service IPM group. 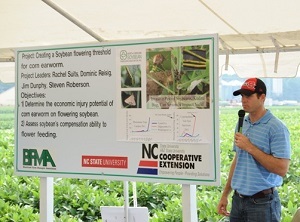 The model is available for beta testing at the current time and can be accessed at the following website: http://agroclimatenc.ncsu.edu/apple/codling_moth.aspx. Also, please take a minute and tell use what you like or don’t like about the model and the manner in which information is presented by emailing us at codlingmodel@gmail.com. We currently have a limited number of weather stations available to choose from, but the list will expand in the near future. 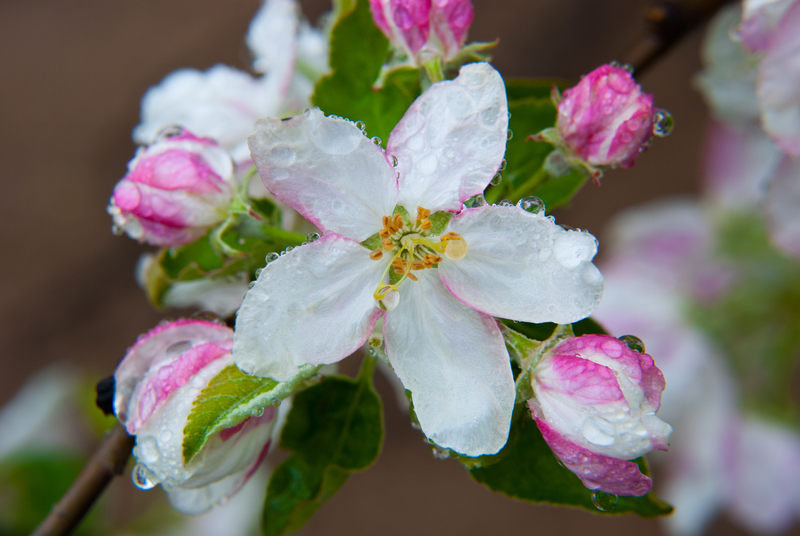 Apple phenology ranges from petal fall at lower elevations to mid-to-late bloom at higher elevations. Please scroll down to April 13th’s entry for information on the importance of petal fall sprays and the selection of insecticides. The N.C. Cooperative Extension has recently developed a real-time codling moth phenology model that allows users to access weather data from one of several different state-operated weather stations to access temperature data to run the model. In addition to providing real-time degree-day accumulations, forecasted weather for the upcoming week allows for future degree-day accumulation predictions. The model is in a preliminary stage and is available for beta testing at the current time (click here to visit the model). We encourage you to send comments on what you like and do not like to codlingmodel@gmail.com. Within the next few weeks we will have similar models for the tufted apple bud moth and oriental fruit moth. NOTE: This codling moth model is in the developmental stage, and in the future more weather station options will be available. It should be noted that the insect models we are using at the NC website are different from those you may access at NEWA. 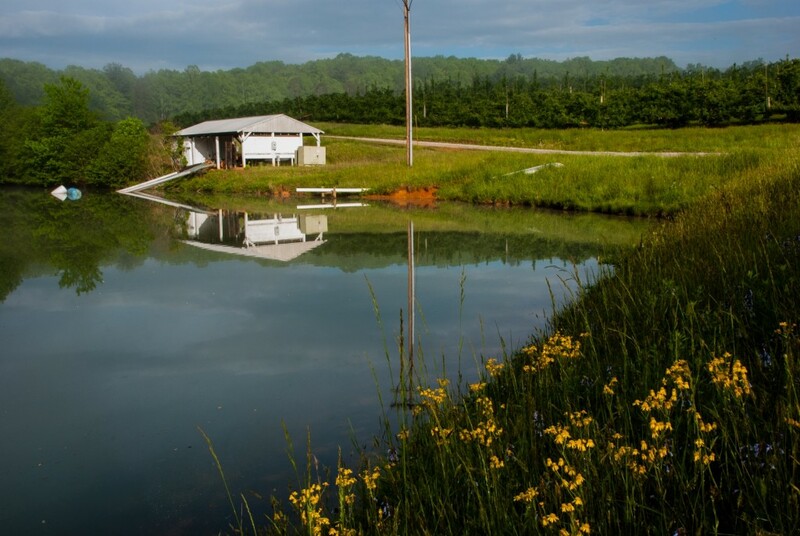 Our models have been modified using insect development rates from recent research in North Carolina. If you are not familiar with the degree-day phenology models for codling moth, tufted apple bud moth, and oriental fruit moth, and how they can be used for accurate timing and optimization of insecticide use against these pests, detailed descriptions appear in 2016 Integrated Orchard Management Guide for Commercial Apples in the Southeast. A critical parameter, and one you will be asked to insert at the webpage discussed above, is a biofix date. Setting a biofix date – i.e., the date to begin accumulating degree days for the model, or day 0 of the model – is based on initial emergence of moths in the spring, and can be accurately estimated using the first capture of moths in pheromone traps. Pheromone trap captures can often be erratic in the spring due to low pest pressure or cold weather that occurs after the first capture, and this can make it difficult to set a biofix date. However, differences of several days in setting biofix usually have little effect on the utility of the model, because degree-day accumulations are usually quite low during this time of the year when temperatures are relatively low compared to late spring or summer temperatures. My opinion regarding setting biofix is that it should be based on pheromone trap captures in orchards that have moderate to high moth populations, and it should be based on the first capture of a moth in a pheromone trap, even if no moths are captured the week after the first moth is captured. 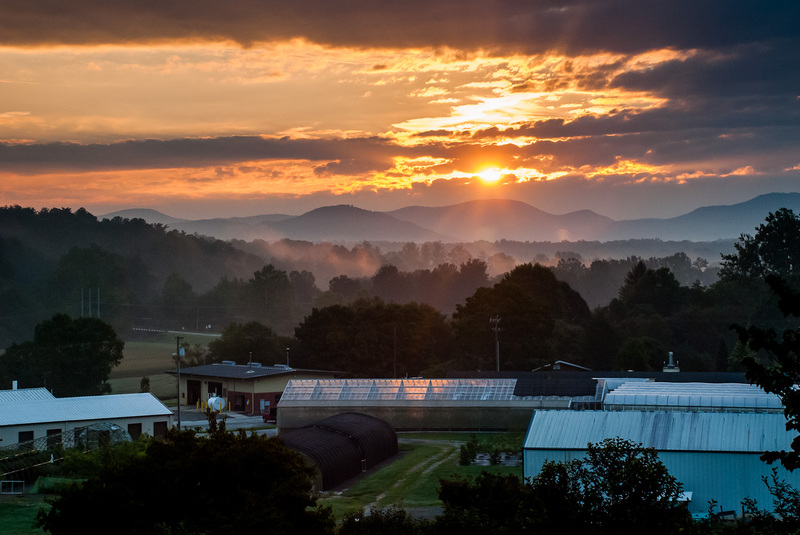 At the Mountain Horticultural Crops Research Station in Mills River, biofix for oriental fruit moth was March 21, and for codling moth April 15. Bill Hanlin also reported April 15 as codling moth biofix in Wilkes County. Although we do not have trapping information from lower elevations (Cleveland County, Lincoln County, Morganton, etc.) codling biofix often occurs close to full bloom of Red Delicious, generally about 5 to 7 days before Henderson County. Hence, estimated biofix date in the Cleveland/Lincoln/Morganton region was March 15 for OFM and April 10 for codling moth. We have not yet captured our first tufted apple bud moth, but it usually occurs no more than one week after codling moth. While the cold weather this past weekend affected some of the apple and peach crop, there are likely to be varieties that survived the cold and other areas where crops were minimally affected. So with an optimistic outlook, now is the time to plan for petal fall sprays. 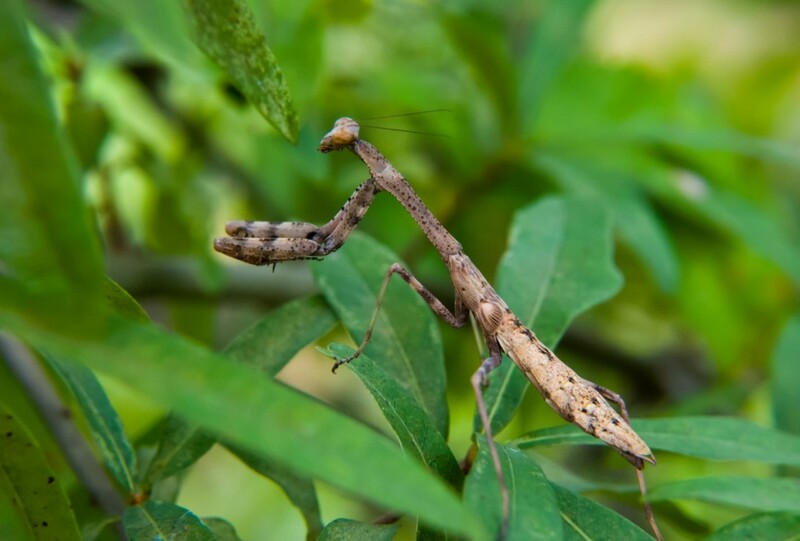 There are several key pests that need to be accounted for at this time, including green fruitworms, plum curculio, oriental fruit moth, and to a lesser extent rosy apple aphid. Green fruitworm (GFW): The GFW is a sporadic complex of pests that, when present, require control at early petal fall, often when later blooming cultivars are still in bloom. Hence, the choice of insecticides to use are limited to those that are non-toxic to bees. Fortunately Intrepid and Bt’s (e.g., Dipel) are both effective against green fruitworm and are harmless to bees. Click here for the green fruitworm fact sheet, which has more information on its biology and the timing of insecticide applications. Plum Curculio (PC): This insect is of greatest concern on fresh fruit, but excessive damage on processing fruit can sometimes be an issue. In the vast majority of instances, a single insecticide at petal fall will keep damage below 1.5 to 2% of fruit. Additional sprays usually do not improve this level of control. However, in instances where damage is historically high (>10%), a second application targeting PC should be made about 10 days after the petal fall spray. Oriental fruit moth: Insecticidal control is not necessary if pheromone dispensers for mating disruption were deployed before bloom. If mating disruption is not being used, a single insecticide at petal fall will control this pest. In fact, Sevin applied at petal fall will also control the first OFM generation. Rosy Apple Aphid: RAA typically affects trees on the periphery of the orchard. If an insecticide effective against RAA was not applied before bloom (tight cluster to Pink), one should be considered at petal fall. Insecticide options at petal fall depending on insect pests to be controlled.